Decades ago, Janet van Dyne shrunk to sub-molecular size to disable a nuclear weapon. She was trapped in the quantum realm. Hank Pym believed that Janet died, and raised their daughter, Hope, as a single parent. 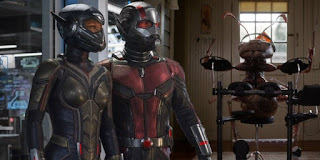 When Ant-Man has a dream about Janet, Hank and Hope begin to believe that Janet may be alive. Hope assumes her mother’s former superhero identity as the Wasp, and along with the conscripted services of Ant-Man, she and her father try to save Janet. Meanwhile, Ant-Man is on house arrest for previous acts of heroism which nonetheless violated a law, and his efforts to save Janet jeopardize his otherwise-soon-coming release. The technology that they hope to use to save Janet would also bring healing to Ava, who tries to steal it; it is also pursued by others who value it for the price it would bring. The heroes must try to accomplish the impossible while being challenged by multiple adversaries. Ant-Man enjoys spending time with his daughter, and she is excited for when they’ll be able to spend time together outside of his home, once his house arrest is completed. Ant-Man tries to maintain a positive relationship with his daughter’s mother and her new boyfriend. Ava is assisted in her survival efforts by a scientist, but he puts limits on the tactics she can use in her attempt to survive; she intends to kidnap a young girl, but the scientist says he will stop helping her if she does that. Janet understands Ava’s pain, and shows her compassion. Some aspects of the story could be frightening or sad for younger children or children who have lost parents. Ant-Man and the Wasp is engaging. Some scenes, and themes of parental loss and parents in danger of arrest, could be hard for some viewers, but it seems likely to be fine for – and most appealing to – kids ages 11 and up. What right does Ava have to try to get the technology she needs to survive? Are there limits on what she should be allowed to do in her efforts? How do you think Hope felt when she was told that her mother went away forever to save other people? 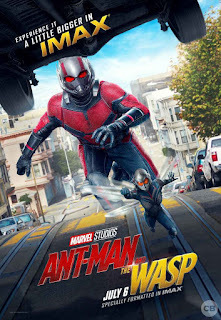 When Ant-Man told his daughter that he doesn’t know how to help The Wasp without hurting his daughter, what did he mean? Why did his daughter tell him to help The Wasp? What do you think it would be like to go sub-atomic?